I love potatoes. In fact if you don’t like potatoes I’m pretty sure we can’t be friends. I realize they’re probably not the best thing to eat if you’re trying to lose weight, but since the Super Bowl was this past weekend and I busted out some homemade potato skins, I had leftover potatoes. 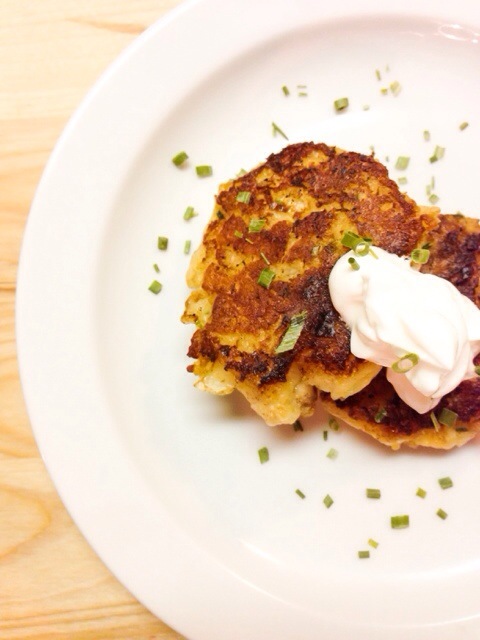 One of my favorite things to do with leftover potatoes is make Latkes or potato pancakes. They’re really very easy! What is not to love about potato pancakes? Into a hot pan of butter and bacon grease I added the tennis ball-sized potato mixture. Once it started to get golden, I mashed them with the backside of a spoon until they were relatively flat. Cook about 3 minutes per side. I served them with a dollop of sour cream, but I believe traditionally they’re served with sour cream and applesauce on top: but they’re also made with grated potatoes traditionally, too. Whoever said I was traditional? They’re so dang yummy folks! Happy Trails! Thank you these sound sinfully good! I love potato pancakes. We call them latkes. Yum! Did you see that you won the scarf? I sent you an email but I wasn’t sure you got it! 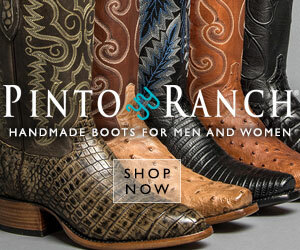 If you didn’t, can you please contact me: jennifer at thesouthdakotacowgirl dot com, with your mailing address, Japolina? Potato pancakes are one of the best things ever. Loved them as a kid and love them now!! !